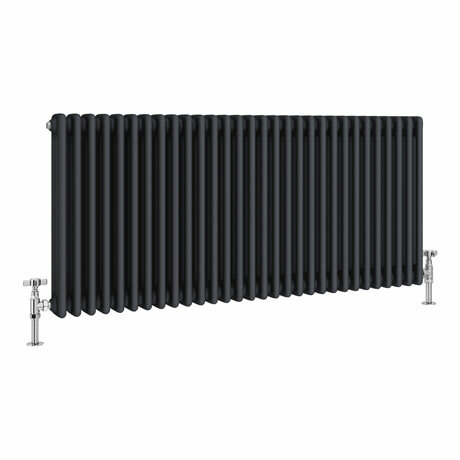 The Keswick 600 x 1355mm cast iron style 3 column radiator, a beautiful period style traditional horizontal radiator combining classic style with high heat output. Features a anthracite powder coating with a great matt finish, perfect for adding a touch of class into any room. All radiators come complete with fixing kits for wall mounting. We specifically wanted a matt finish the radiators and very happy with the products.